The conflict between Israel and the Palestinians has profoundly affected the whole of the Middle East for more than 50 years, and no doubt contributed to the anger and resentment which led to the terrorist outrages of 11 September 2001. How can this conflict ever be resolved? 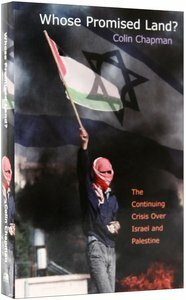 ^^Writing from the perspective of someone who has lived and worked in the Middle East at various times since 1968, the author explains the roots of the conflict and outlines the arguments of the main parties involved. He also explores the theme of the land in the Old and New Testaments, pointing out legitimate and illegitimate ways of using the Bible in relation to the conflict. ^^This new edition is substantially revised and includes new chapters on the crisis of Zionism, the role of the USA, and Zionism and Islam. The New Politics of Sinn Féin is an assessment of the ideological and organizational development of Provisional republicanism since 1985. The book explores how the Republican movement has changed from an anti-state insurgency to a potential partner in governing the state it was pledged to destroy. In particular, the book attempts to consider the origins of what has become known as 'New Sinn Féin'. Colin Chapman was lecturer in Islamic studies at the Near East School of Theology in Beirut until his retirement. A former principal of Crowther Hall, Birmingham (Church Mission Society training college), he also worked for thirteen years previously in Egypt and Lebanon with CMS. He is the author of Whose Promised Land?, Whose Holy City? : Jerusalem and the Future of Peace in the Middle East, Cross and Crescent: Responding to the Challenge of Islam and Islam and the West: Conflict, Co-Existence or Conversion.